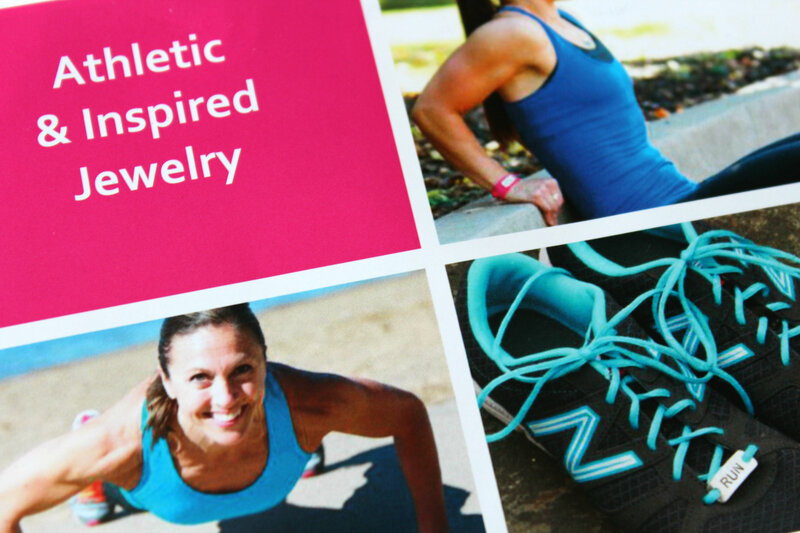 Momentum…a perfect blend of over 20 years of jewelry making experience and our passion for fitness. We believe in jewelry as a beautiful means of expression. We believe in living your passion. All their hand-crafted jewelery is designed to be comfortable (not itching, rubbing, squeezing or slipping) while you are working out! It also provides that little dose of motivation to get you through holding those planks and doing those burpees. There are tons of different saying you can get printed on the jewelry or even create your own. They have shoe charms, wrap bracelets, suede cuffs, necklaces, headbands, and earrings! 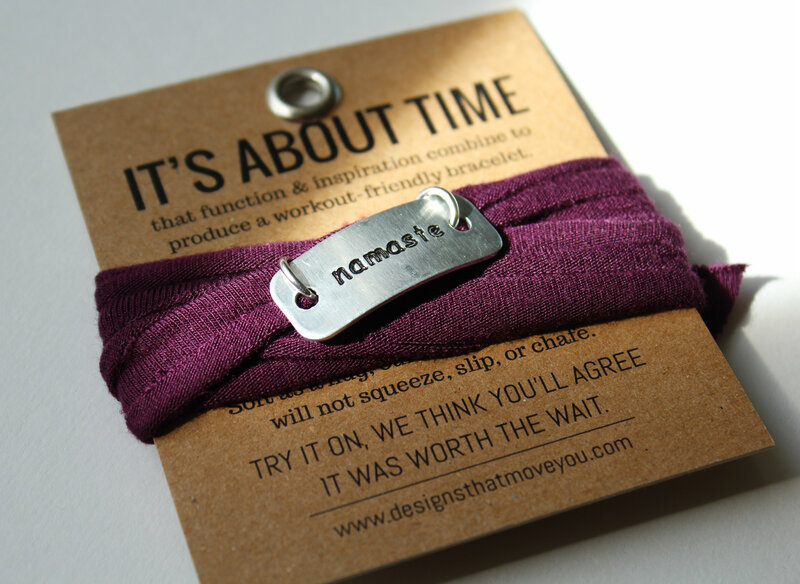 I picked out the Motivate Wrap bracelet in Eggplant Purple with the saying, “Namaste”. Perfect and beautiful to wear during a yoga practice. But I won’t just be wearing this when I workout. They are stylish and chic for everyday wear. Anytime, anywhere! The band is so comfy I don’t want to take it off! To end and being your practice with a Namaste! I love the soft band and how it is only one “string” that wraps and ties so you can loosen it to your liking. The material is so stretchy though I didn’t really need to untie it. I love the wideness of it and how it stands out. And now for the fun part! Amy has offered to give one lucky reader either the Motivate Wrap or the Foot Note. All you have to do is go to there website and tell me how you would design either the Motivate Wrap or the Foot Note. This giveaway will be a Rafflecopter giveaway so make sure you use the link below before you comment when entering! This is open to all US and Canadian residents! The giveaway will run for 1 week and I will announce the winner on next Thursday’s post, May 1st! (Wow, is it really almost May!?) But wait, that is still not all! Amy has also been kind enough to offer my readers a special discount when your order! Use the code GGS158 for 15% off your total website purchase from April 15-July 15, 2014. Make sure to follow and connect with Momentum! Those bracelets look great! They would make a good gift. I LOVE these. They are so incredible. <3 I would do mine with a black band (goes with everything and doesn't get dirty) with a square charm that says Relentless. – It's my favorite word to live by to just keep pushing on and let nothing stop me. To be persistent and never stop no matter what happens. I would do the motivate wrap rectangle with a custom saying like maybe “just 30″ for only 30 days to a new habit or something. These are so cool! You mean 21 days 😉 Haha! We always are, right? That would be awesome! I’d like a foot note that says “strength from within”. I like the pre-made “stay strong” design, too! You know I like both! These are so pretty! I’ve never heard of this company! Thanks for sharing! I love them too! I’m glad they found me haha! I would love the wrap that says “live fearlessly”!! Great giveaway! I think I would love the wrap bracelet “Strong is the new beautiful”. I would make one that said Believe – because as long as you believe – you can achieve anything! I would get the copper one, with a cardinal red wrap and it would say either “Find Peace” or “Hakuna Matata”. A little reminder to myself to relax and life goes on! I would love a running wrap! It would help motivate me to keep pushing through a tough workout! Perfect for running because you can just glance right down! I love the wrist wrap and would probably have the “live fearlessly” put on it. It will remind me to not be afraid to try new things, and to push myself and NOT be afraid. That is great! Totally a time when you need a little spark to motivate you and make you take that leap! 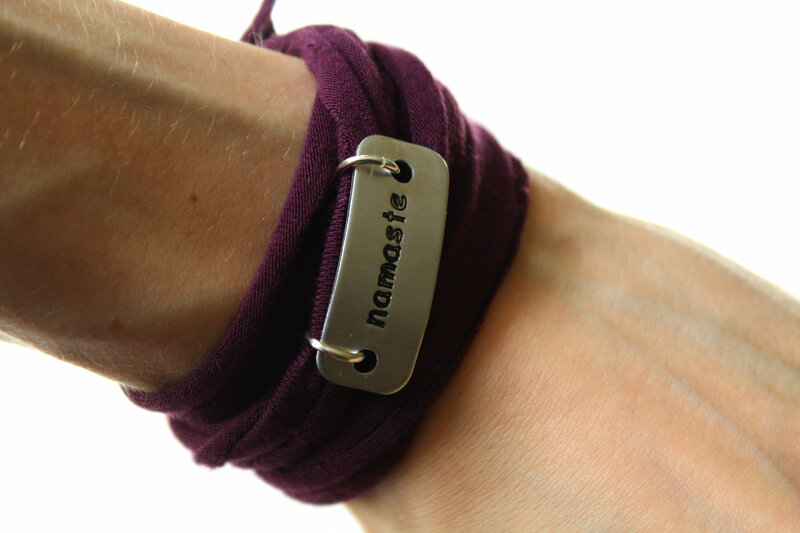 I love love the Namaste wrap–I love wrap jewelry, and Namaste has such a powerful and diverse meaning that is applicable to all situations, i feel. I would design the foot note with “HE>i” and give it to my best friend as a reminder to stay strong and confident. Love this product! I would love the namaste wrap! I think I’d put ‘push through’ on it! I’m in love with the Namaste wrap that you have pictured in your post! I would definitely do something like that! I love the Motivate wrap engraved with “inspire and empower”. It speaks to working out and being healthy not only for yourself, but to inspire others in your life. Cute bracelets!